Recently I needed to migrate legacy PHP application from PHP 5.2 to at least PHP 5.6. It is 50K+ lines application that heavily relies on enabled register_globals directive and session_register()/session_unregister() functions. 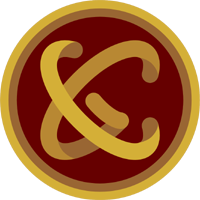 This functionality has been deprecated as of PHP 5.3.0 and removed as of PHP 5.4.0. 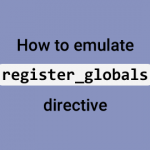 I will demonstrate how to emulate register_globals directive and session_register()/session_unregister() functions in PHP 5.6 or later. 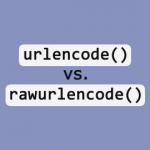 Difference between urlencode() and rawurlencode() PHP functions is not explained clearly in the official documentation. A few times I found myself looking it up online and decided to document it for future reference. 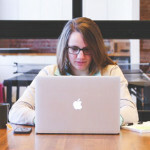 See some WordPress interview questions below to sharpen your programming skills and practice. 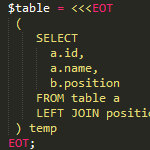 It turned out PHP 5 was not configured to use MySQL by default. 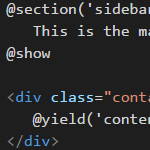 This is what I have changed in php.ini compared to php.ini-recommended. Unfortunately it did not help. I was still getting the same error. It was a time to finally read the PHP installation manual. And then the mystery was uncovered. In order for PHP to access MySQL database, file libmysql.dll from PHP distribution “needs to be available to the Windows systems PATH”. I copied the file to C:\WINDOWS\system32 folder and it worked!